Elwood had the most liked content! Merry Christmas from the Far East ! Nono they care about basketball but just not the Bucks....like 95% of the state outside of Milwaukee not a comment about them being bad, just a comment on how the NBA doesn't attract most people here in Wisco. MOD EDIT MOD EDIT MOD EDIT Thanks Elwood. Sorry that you can't accept the fact that the Bucks are not a major team in this state, Elwood. Maybe If you weren't in Japan, Elwood, you'd see this. Bucks are nowhere near the level of the Brewers or badgers (football or basketball), and we all know the Packs in a whole different stratosphere. There's no need for stupid links, it's a known fact. Sure people are aware of the bucks but let's be real here, Elwood. Your head is in the clouds if anyone thinks the bucks are a major player on the Wisconsin sports scene. Even Marquette is way ahead of them in the spectrum. Even high school bball is ahead of them.MOD EDIT I have a "stupid" link for you, espnboy13. It's here: http://forums.realgm.com/boards/viewforum.php?f=21 You're more than welcome to join us. We have a Bucks insider there. And I'll tell you one thing, there are people reading these forums... like Bucks reps... Brewers reps... Packers reps... Badgers reps... Marquette reps... etc... I don't get what your link represents? 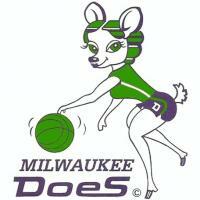 So there's a forum of bucks fans; doesn't mean that the Bucks are important here. Look, I'm not here to bash on the Bucks. I hope they go back to the irish rainbows and I hope they turn into a good team with Jabari and Greek Freak and Kidd and the new owners, but all I'm saying is they just flat out have a minimal fan base in Wisconsin outside of Milwaukee. I can't provide a link, but thats just a common known fact. My reasoning is I've lived in Northeastern Wisconsin my whole life, with one side of family all in Milwaukee and one side all in Green Bay. And I love basketball, its my favorite sport behind football-Played it my whole life and watch as much of it as I can. But if someone took 100 Wisconsinites and said "Hey, heres a TV with the Bucks on, or heres a TV with a high school basketball game," I'm confident 90% of the people would watch High School. Sorry that offends you. The Bucks are not near the top of the sports food chain in this state Also, who cares if theres reps from teams here? They know where they all stand in fan base. Don't think they care what the Seasheperd and a 22 year old college student think about them. Your corner of the world does not represent Bucks fan base. I'm actually working right now, it's 12:30 pm in Japan. If you would like to discuss your thoughts and ideas with fellow Wisconsinites, I urge you to join RealGM Bucks, the largest fan forum of the Bucks in the entire world. Good luck with school. Making exact duplicates of older logos would be a great service to the community! Would you be willing to start with these St. Louis Cardinals historical "birds on the bat" logos, noting the differences in the evolution of the birds on the bat design over the years? The version on the Cardinals' page on the main site that is labelled as "1924 - 1948" should actually be 1936 - 1948; and the one that is labelled "1957 - 1997" should actually be 1966 - 1997. If you can do the other birds on the bat logos shown on this resource (other than the 1951 - 1955 and the 1966 and later logos on the sheet below, which are already on the main site), that would be great: Thanks in advance for your willingness to make these older logos! Hi, I sent this in to UniWatch last year as apart of the article we published, and the artist (on behalf of the St. Louis Cardinals) would appreciate that you do not try and duplicate these graphics, as they are already digitized, and those digitized versions have been deemed authentic. All other St. Louis Cardinals fan created graphics are not authentic and for obvious reasons should not be trusted. Thank you for your understanding. Hello, who are these "I", "we", and "artist" you speak of? Links please. What's UniWatch? What article are you speaking of? Where was it published? Links please. What happens when 'amateurs' 'duplicate' sports graphics, or any graphics for that matter? Where can we see these authentic digitized graphics? Who deems digitized versions as authentic? Okay, so we, amateurs, shouldn't 'trust' any concepts / graphics / 'duplicates' created by other amateurs? Where do you draw the line between duplicates and concepts? Where do we draw the line between 'pro' and 'amateur'? Links please, if you should have any, for us to better understand, what you are implying with your very first post. Is that what you're saying here? What happens when non St. Louis Cardinals fans / amateur artists 'duplicate' / create concepts? What are these obvious reasons you speak of? What do you mean by 'trust'? Any more links you can help us understand what you're saying here? You see, we're 'amateurs' here, creating concepts and would appreciated your understanding. Thank you so much for your understanding us 'amateurs' here at boards.sportslogos.net Wow! I just realised the original artist is well over 114 years old! Is she / he okay? How is his / her health? Does she / he still create graphics for the St. Louis Cardinals? Please tell him / her "Hi!" from us amateurs here at boards.sportslogos.net. Thank you so much, Minor League Guy Uni-Watch is the blog of Paul Lukas, an ESPN columnist who is the number one journalist in uniform related news. I love the site and read it everyday. The article linked here is Paul Lukas interviewing St. Louis Cardinals designer Gary Kodner. Kodner was frustrated by MLB/Majestic branned merchandise and onfield attire that incorrectly displayed logos and scripts past and present. Kodner's requests to MLB and Majestic to portray the Cardinals logos correctly were blown off, so he dilligently digitized and catologued all the correct logos and details of the franchise to avoid unauthentic attire in the future. After reading the article I gained a better understanding of where minor league guy is coming from. What I think minor league guy, cokeologist and gatorhunter dont quite grasp is that Ren69's thread is about taking old dated logos and updating them to have a fresh look, not digitizing old logos exactly. Ha! Ya learn somethin' new everyday! Thank you so much for posting the info. I won't bother clicking the links, I think you answered my questions quite well, thank you. Who is this Paul Lukas fellow, what are his credentials? Is he an artist, a designer, has he worked in a uniform factory? Probably not, would be my guess. Correct me if I'm wrong. Oh, is he the fellow that sells laminated cards? Dagnabbit, I've had the theme song from Laverne and Shirley stuck in my head ever since I read that.Hahahaha soon as I read this. Same thing happened to me. "We're gonna do it our way!"